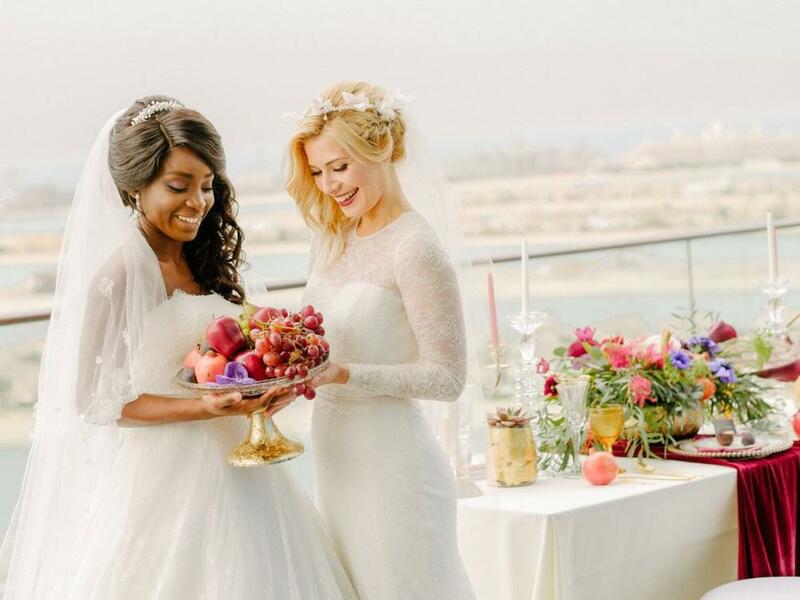 Dubai based wedding planning agency Save The Date Weddings created a bridal photo shoot inspired by the breathtaking view of Dubai skyline and Palm Jumeirah, provided by one of the most luxurious venues Penthouse on the Palm Jumeirah. 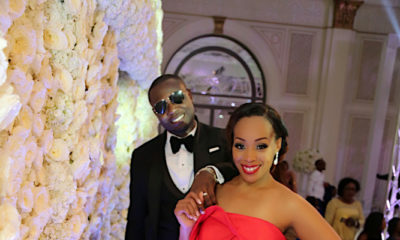 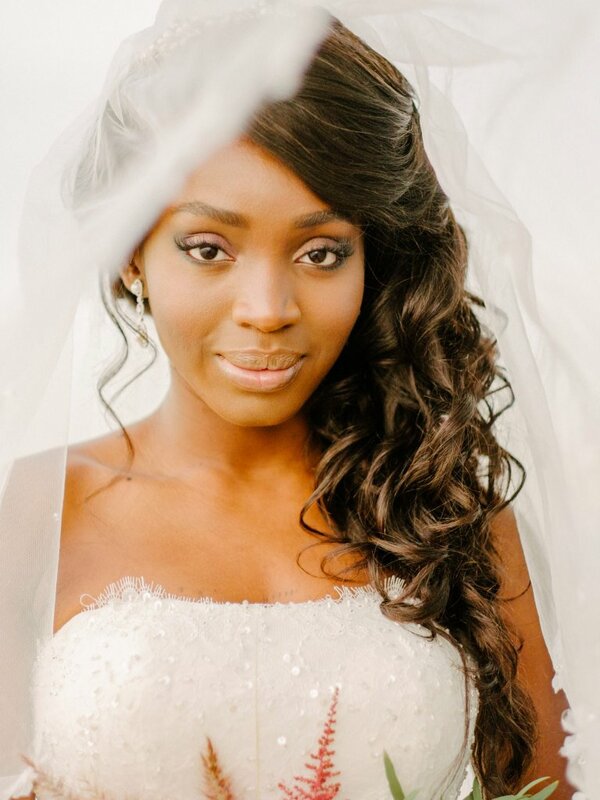 This creative photo shoot was organized, styled and designed by the agency, that specializes in Nigerian weddings. 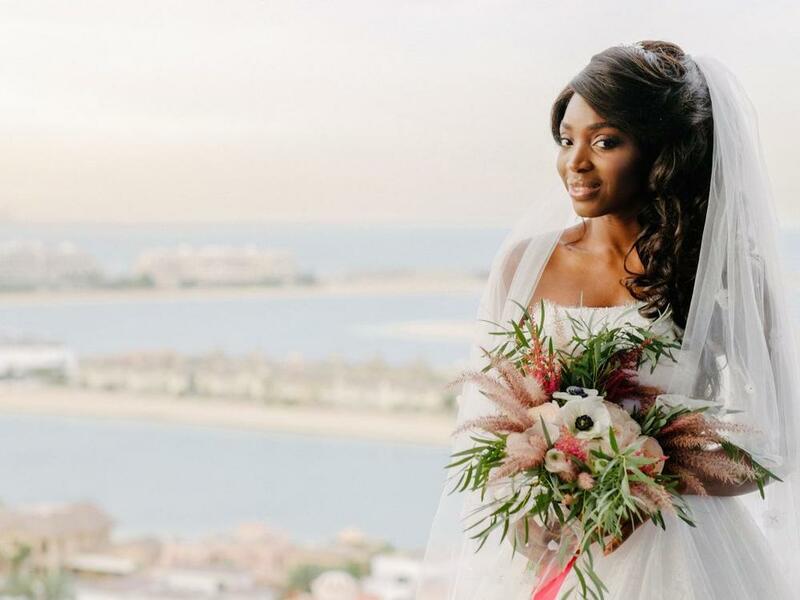 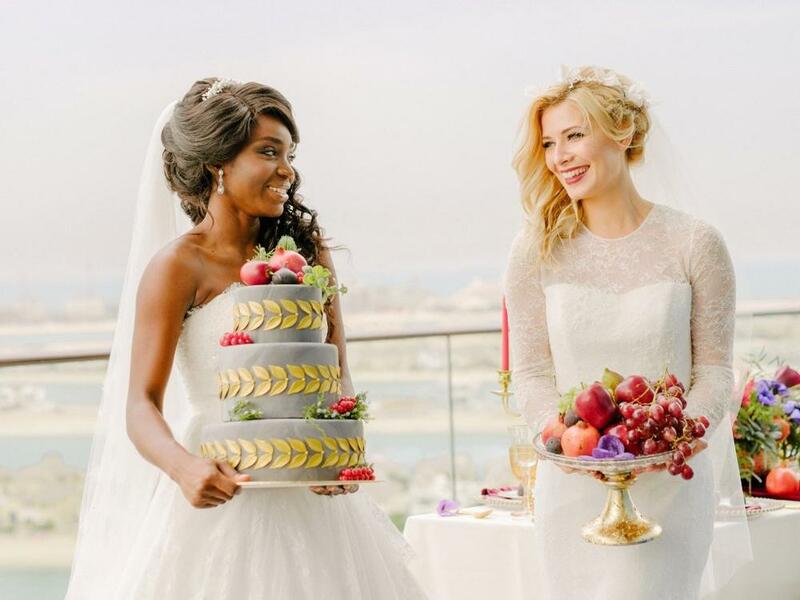 Dubai over the years has become an extremely popular white wedding destination for most Nigerians, the picturesque atmosphere, ease of Visa for guests and luxurious venues are definitely their number one selling points. 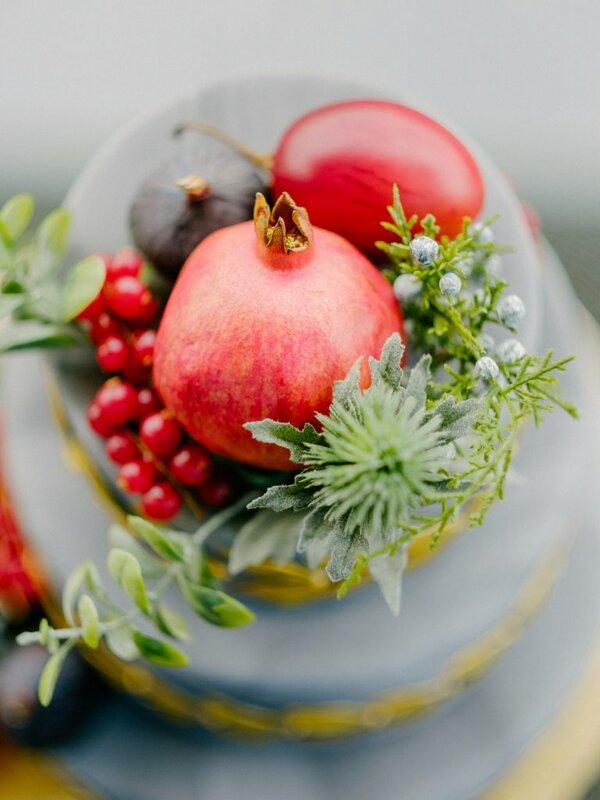 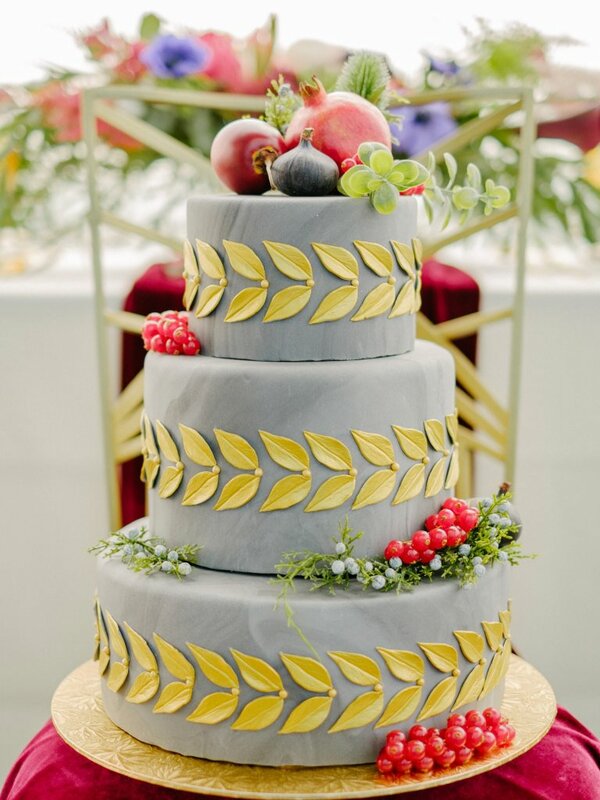 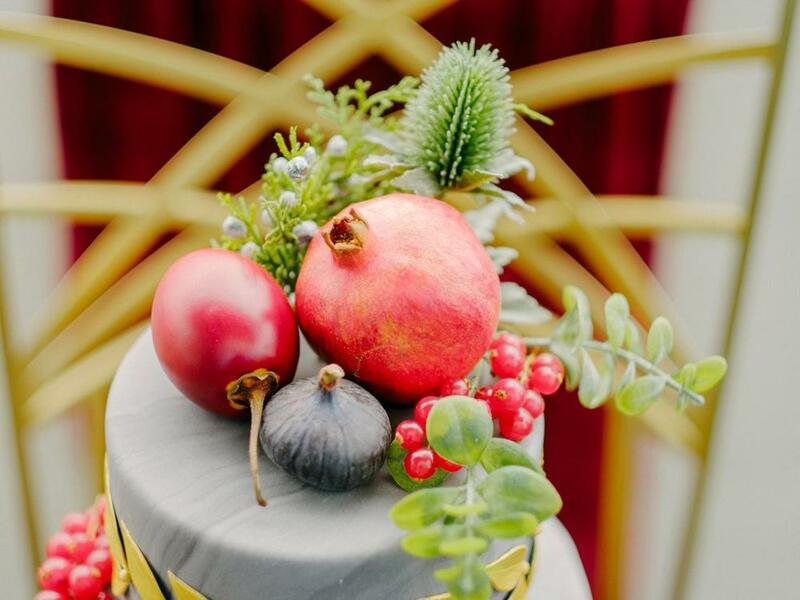 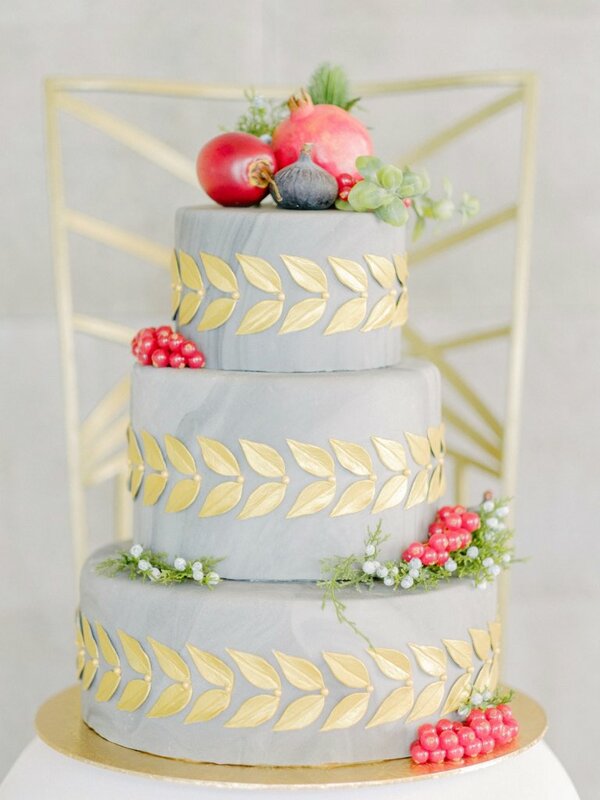 The decadence inspired cake had gray fondant combined with gold accents and was adorned with pomegranates and figs. 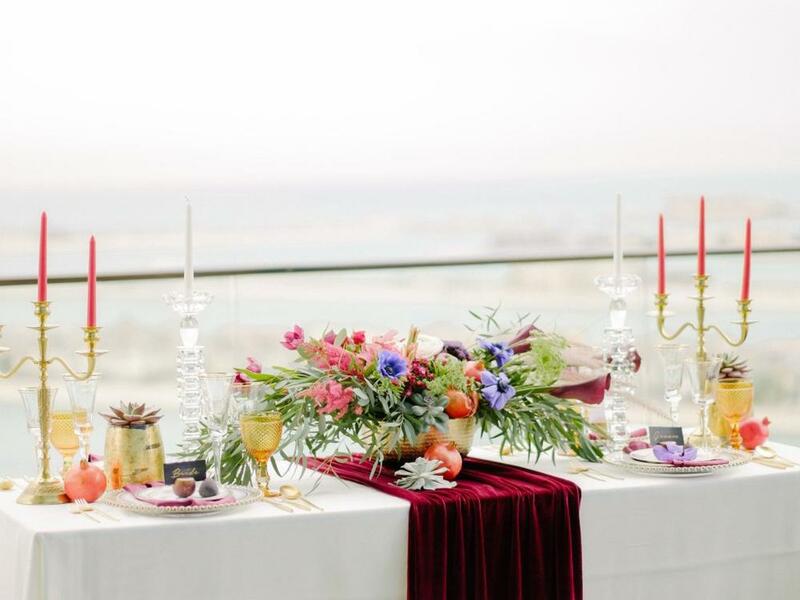 The décor reflects a baroque style characterized by excessive luxury and ornate details. 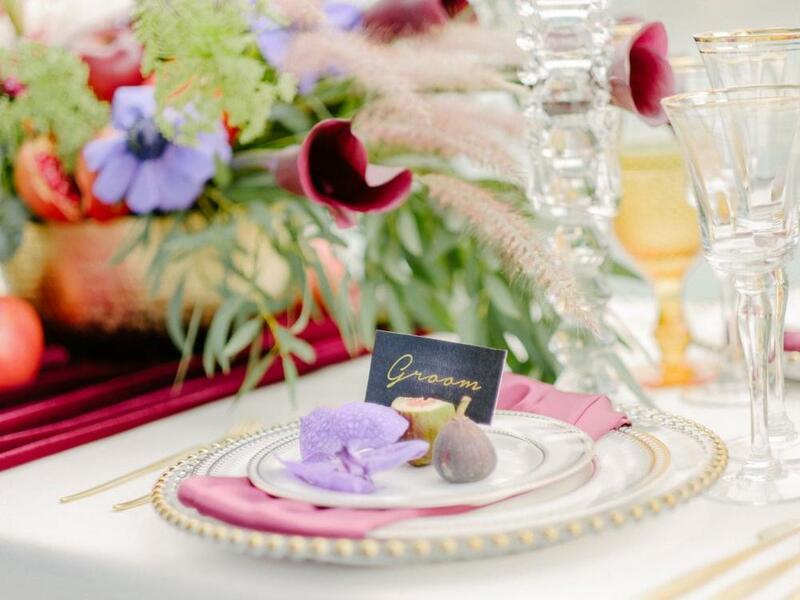 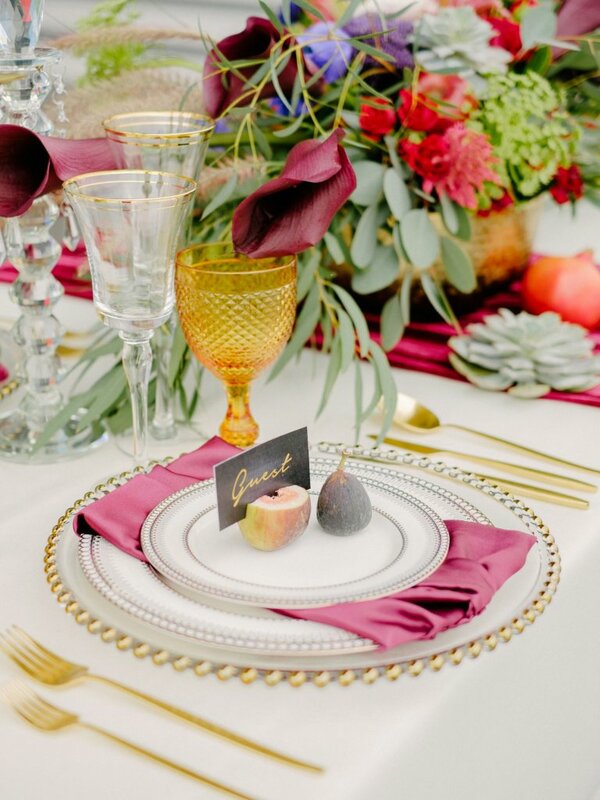 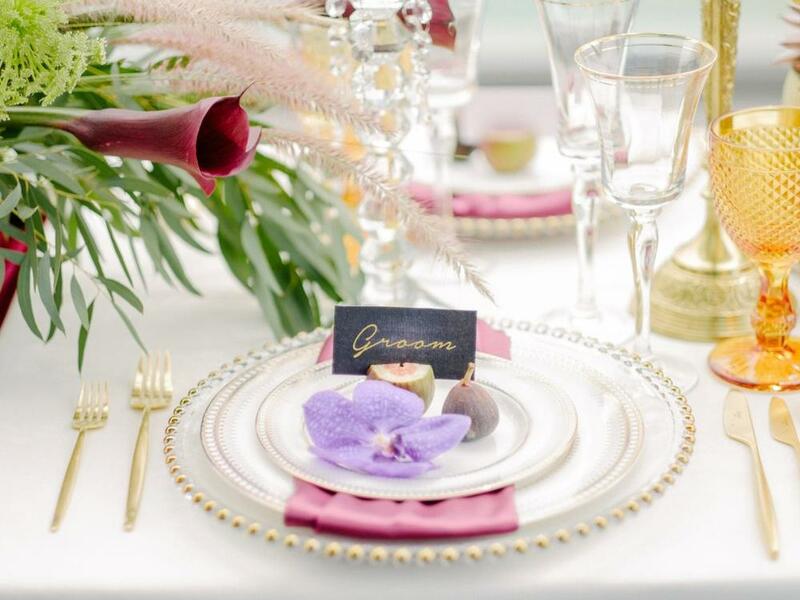 The vision became possible by using burgundy, plum and violet colors with some accents of gray and gold. 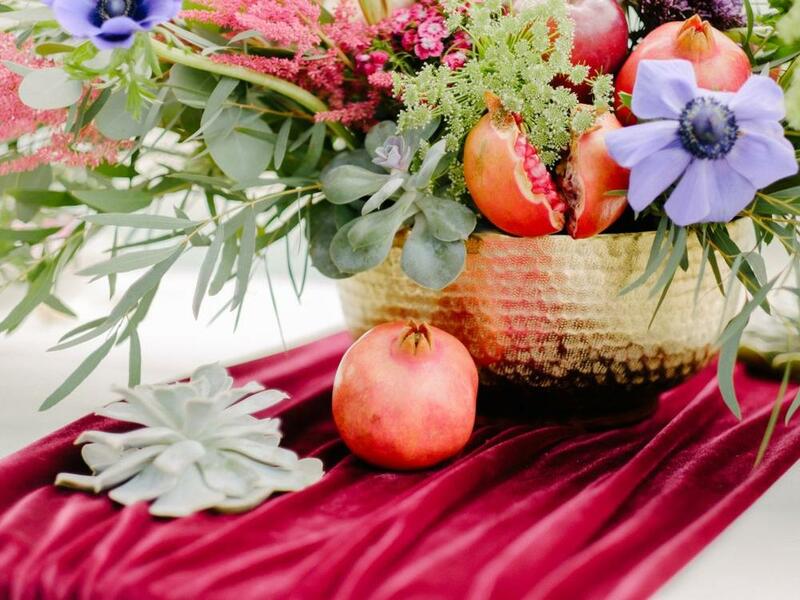 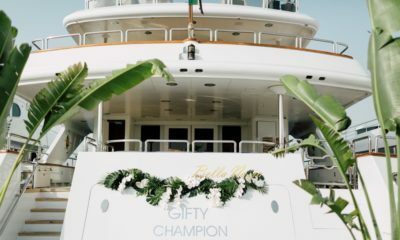 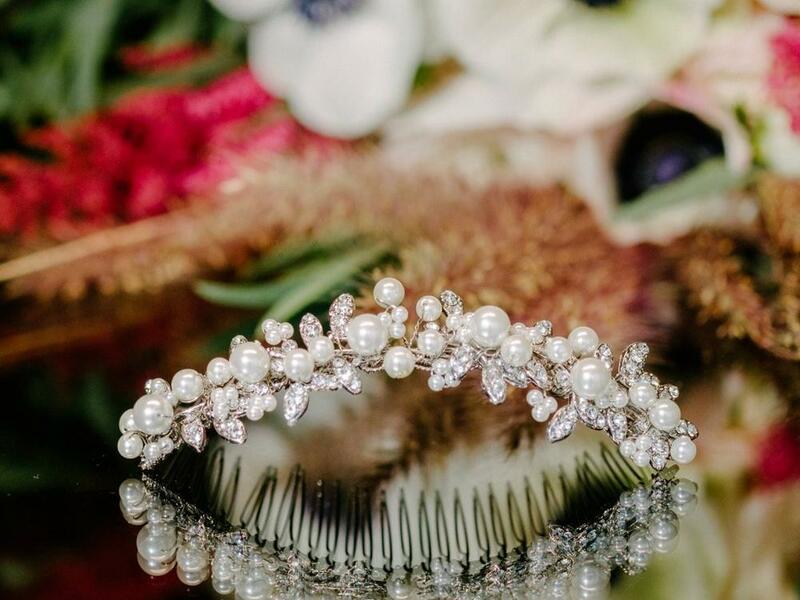 Vendors also combined a lot of different details, such as fruits, exotic flowers, feathers, velvet and an abundance of crystals and gold accents. 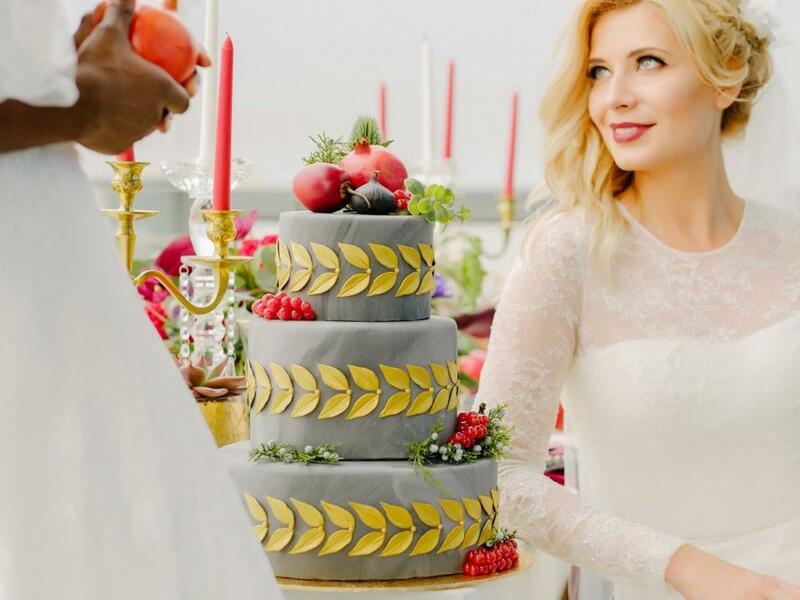 For this creative shoot Save The Date Weddings worked with two models, which were styled in a different ways but equally looked gorgeous. 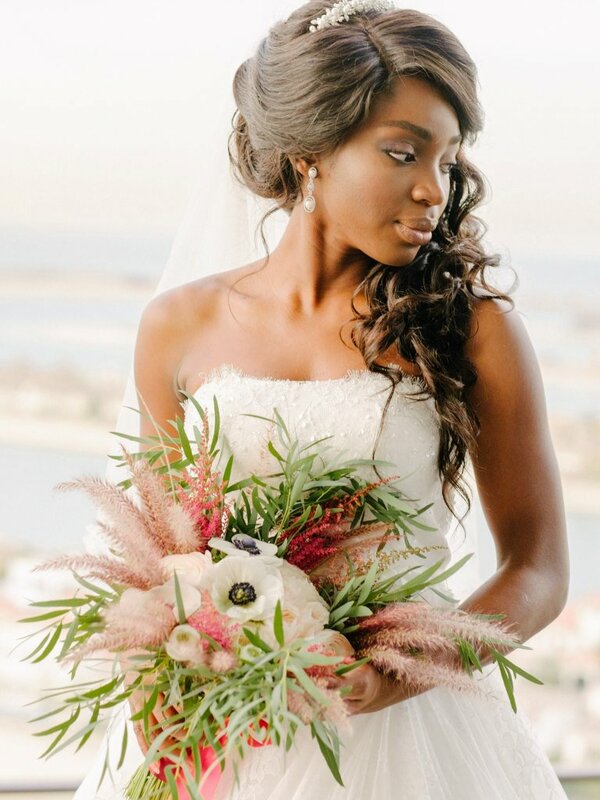 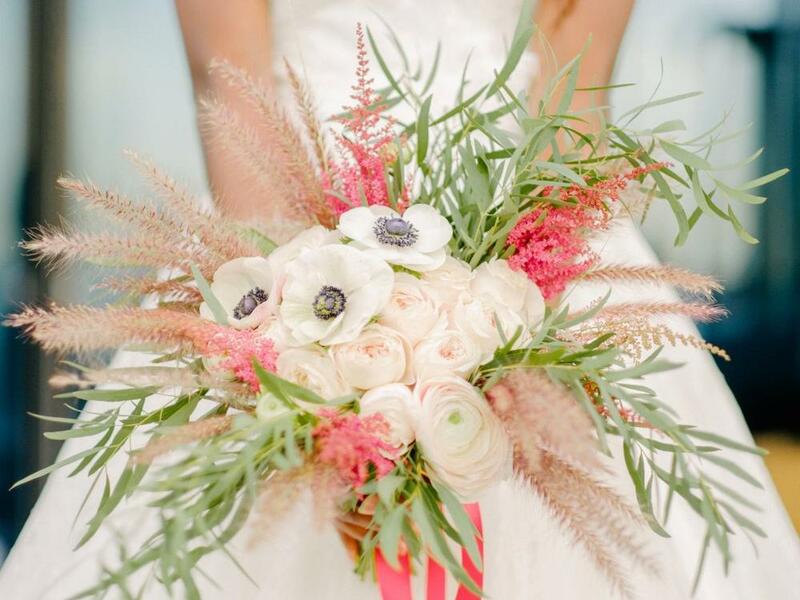 The bridal bouquet for Farida, a Nigerian model, was off white and tender colour to match her soft look. 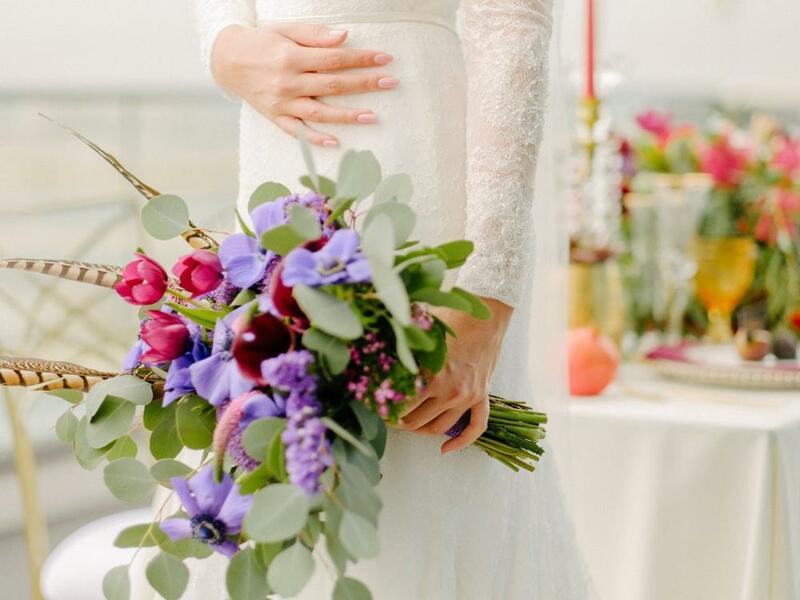 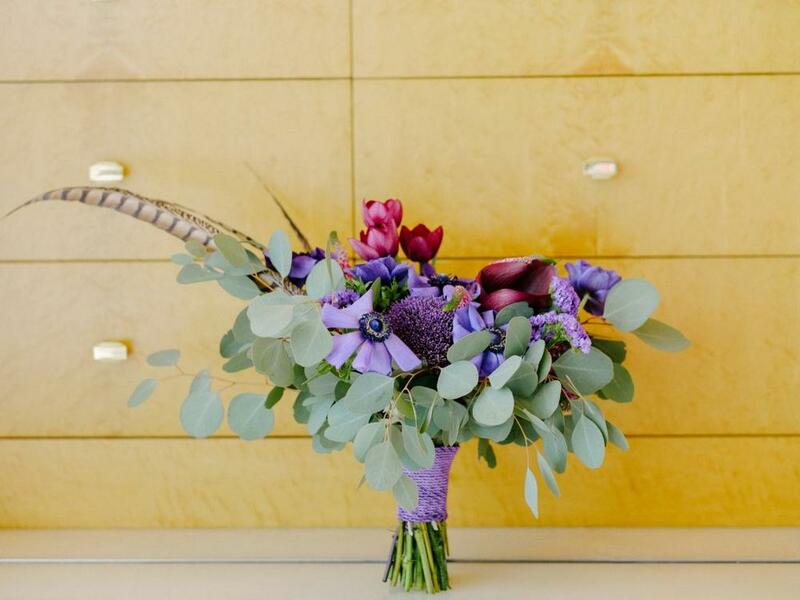 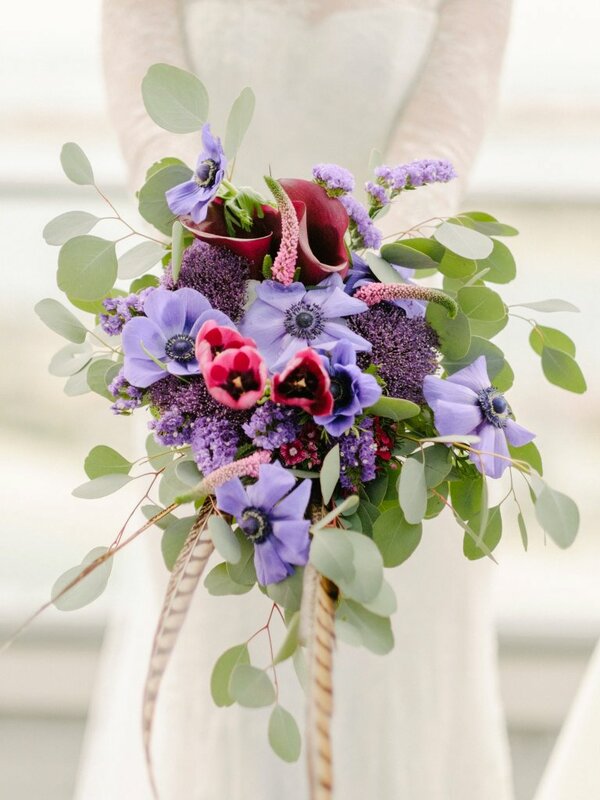 Venetta carried bright violet bouquet according to her makeup style. 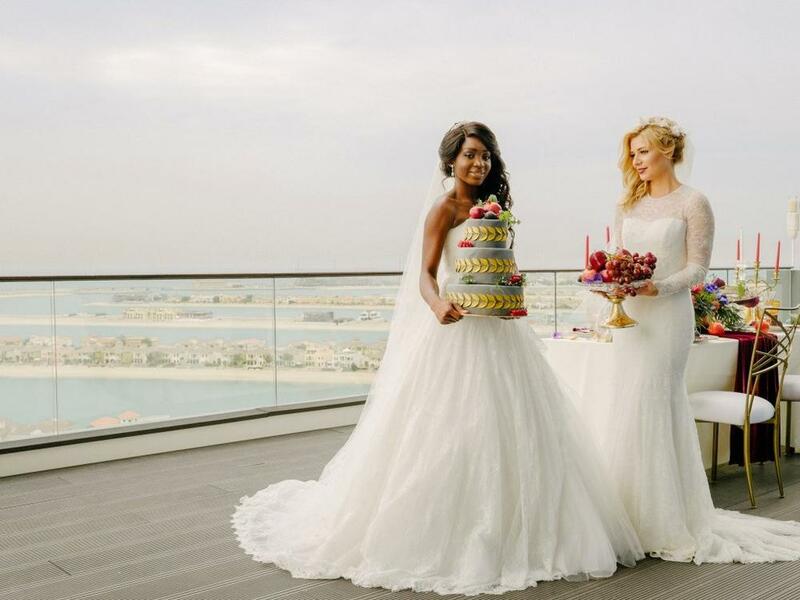 Farida wore a ball gown with long train made of chantilly lace. 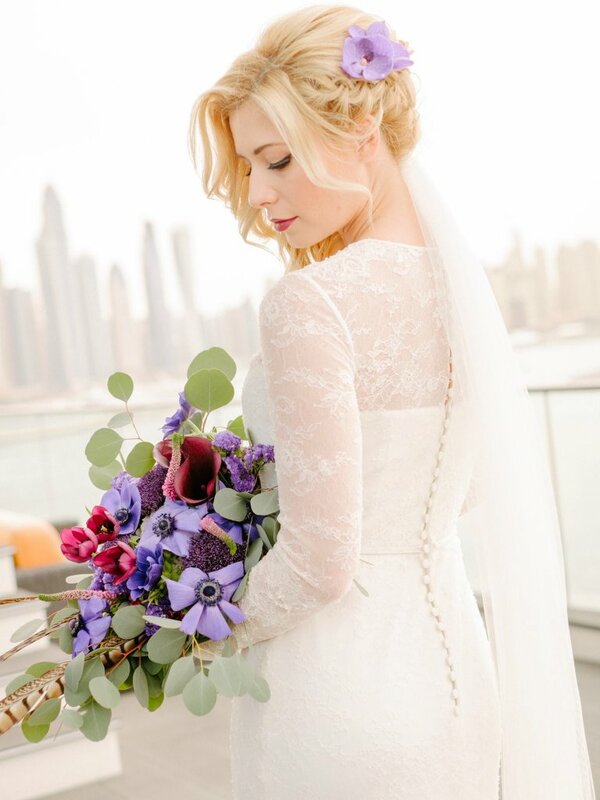 Veneta’s dress, elegant with long sleeves and semi-transparent back is a hand-made by Spanish designer house Jesus Peiro.